1. A new field guide will soon be available for explorers in the Saginaw Bay region. The guide, with trail maps, directions and information on local nature preserves, is being put together by the Saginaw Basin Land Conservancy, headquartered on Bay City’s West Side. The Saginaw Basin Field Guide also will include information on wetlands, animals and birds, native and invasive plants, and protection efforts by the conservancy. The Saginaw Bay watershed is home to more than 100 endangered or threatened species. The guide is being developed and published with support from a number of partners. The conservancy owns a number of nature preserves around the basin that are open to the public. The nonprofit is holding a 6th Annual Saginaw Basin Land Conservancy Nature Photography Contest, with a focus on the preserves. Entries are due by Sept. 30. The field guide is expected to be available from the conservancy in early October, for free. 2. The Dow Chemical Co. plans to settle a case with the state over pollution from its Midland manufacturing site. The company plans to pay $38,500 to the Michigan Department of Environmental Quality as part of a consent order. The state cited Dow for exceeding particulate matter emission limits in June and July 2011. According to a DEQ staff report, the excess emissions were from a ethyllcellulose production facility. A Dow spokesman says less than 12 pounds of a non-hazardous product were emitted during testing of processing equipment. The problem was immediately corrected, the spokesman said, and the company has taken steps to prevent a recurrence. Ethylcellulose, sold by Dow under the name ETHOCEL, is used as an additive in medicine tablets to improve their appearance and mask the bitter taste of active ingredients, according to the company. The consent order stipulates penalties of up to $3,000 per violation per day for future violations of the company’s Renewable Operating Permit. Public comments on the proposed order are being taken until Oct. 10. 3. This week was Great Lakes Week, and agencies and environmental groups participated in four days of conferences in Cleveland. Among the issues discussed in Ohio was excess algae, and shoreline muck, like the kind that’s been fouling the Saginaw Bay for years. 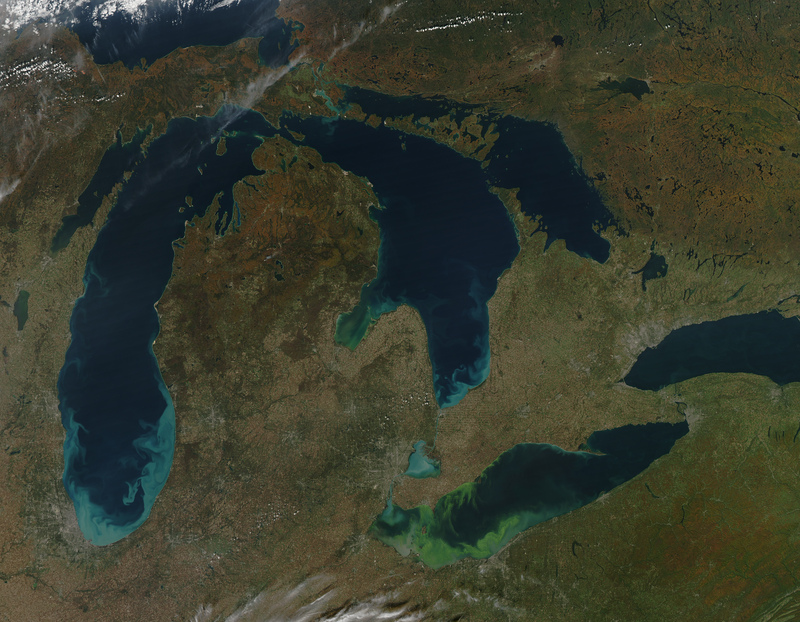 A University of Michigan aquatic ecologist presented his latest findings on the topic, saying climate change could double the number of intense spring rain storms in the Great Lakes region by the end of this century. And that would likely add to the number of harmful algal blooms and “dead zones” in Lake Erie. The ecologist says additional conservation actions need to be taken by the agriculture industry to prevent more harmful blooms in the future. The ecologist says widespread adoption of no-till farming and other agricultural techniques since the mid-1990s appear to have increased the availability of a type of phosphorous that promotes algae blooms. In the Saginaw Bay area there has been no measurable improvements. E-coli in the water and also the beach sand. The Saginaw Bay Coastal Initiative needs to step it up. Government foreplay is at it’s best.